due to meat and dairy industry influence. at Cornell University & beyond. to nutritional science & the Cornell community. the life-saving benefits of plant-based nutrition, discovered by one of their own top scientists. Jonathan Latham on the historical roots and modern implications of genetic determinism. T. Colin Campbell’s message is being held back by his own institution! 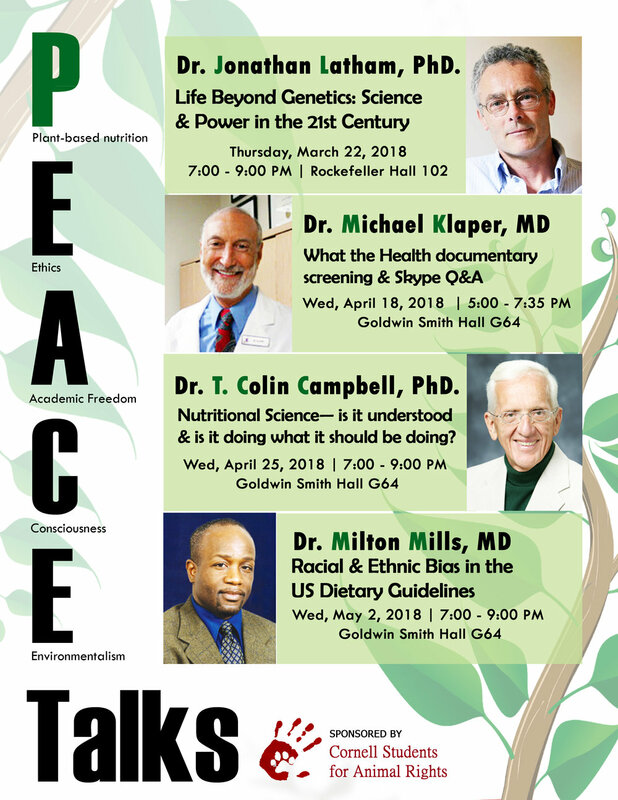 Thank you for supporting Cornell Peace Talks! Or, consider supporting CPT in other ways!